The Y Services Branch as a National Branch has no close affiliations to local communities because its membership is spread throughout the UK and in many countries overseas. 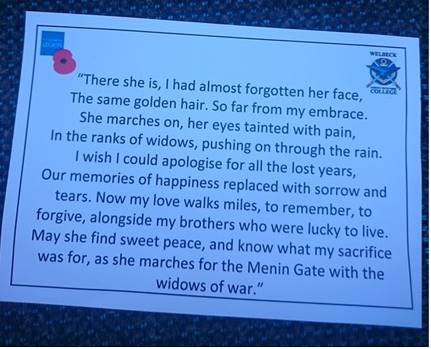 In order though to involve more than just the Branch in Great Pilgrimage 90 (GP90) preparations the Welbeck Defence Sixth Form College was approached and the College students were invited to write a poem or message for our GP90 wreath. 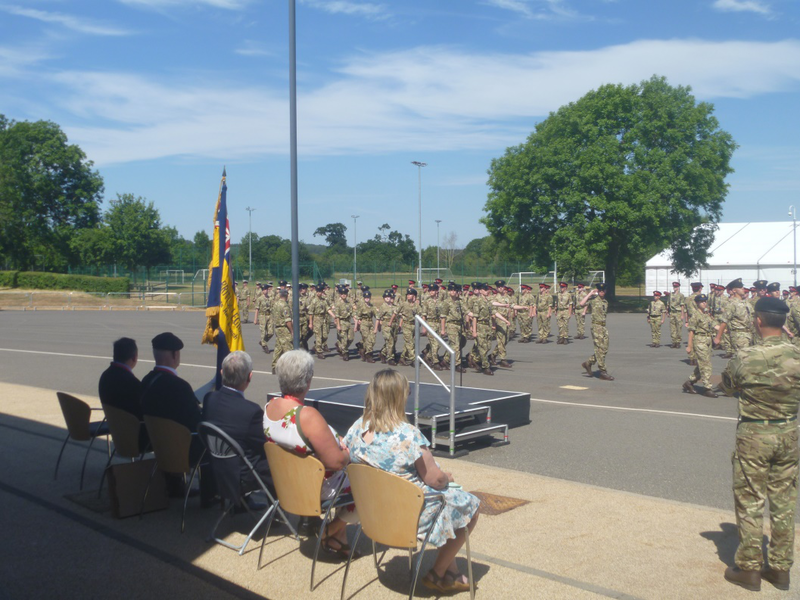 On Friday 6 July 2018, with the kind permission of College Principal Peter Middleton, a military parade of the whole college was held and a small ceremony took place during which the young lady who had written the winning entry read her beautifully worded poem. Branch Chairman Nick Berry then responded with a thank you message to the College from the Branch. 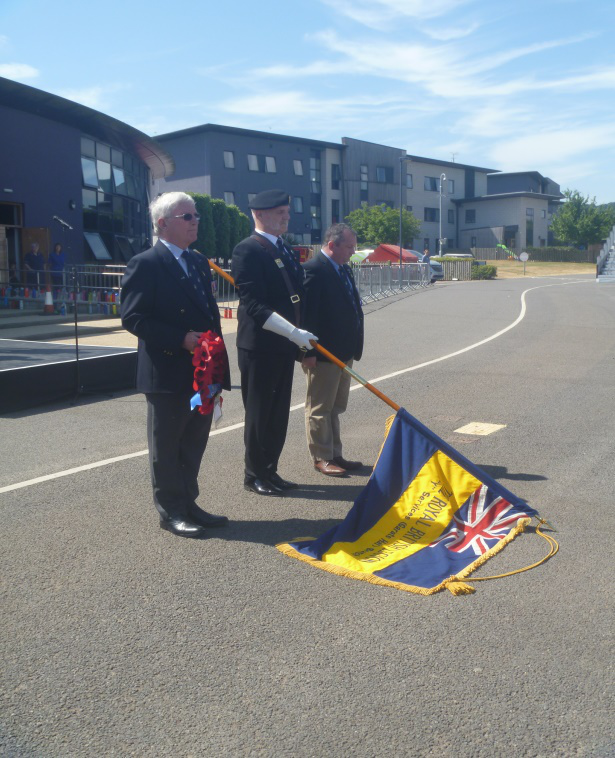 This was a memorable event and marked the beginning of the Branch GP90 journey as well as cementing the relationship between the Branch and the College which is situated on a site formerly occupied by the Garats Hay military Base and training centre. 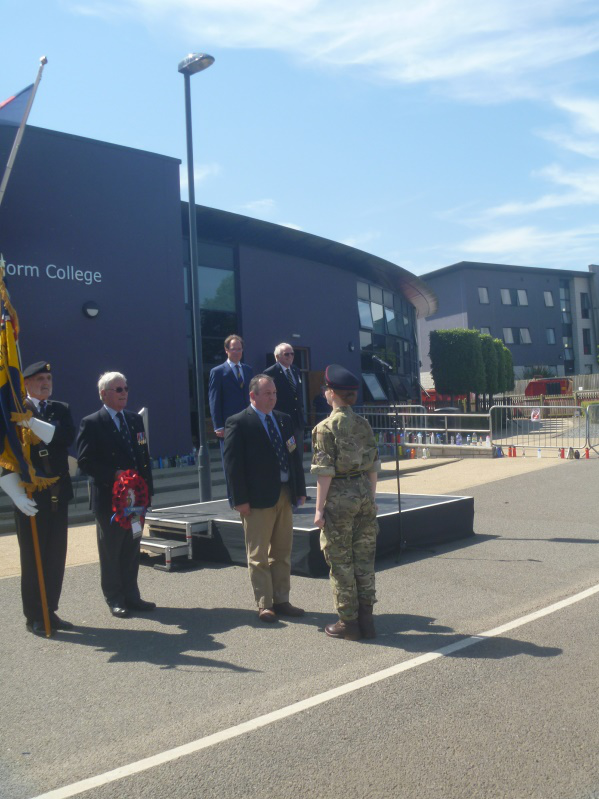 Branch Chairman Nick Berry receives the Welbeck Defence Sixth Form College GP90 Wreath Message. 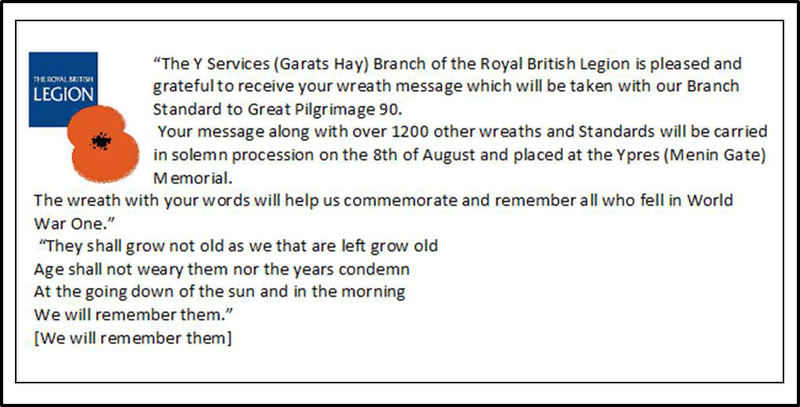 Dennis Weir is the Branch GP90 Wreath Bearer and Peter Gilbert Branch Deputy Standard Bearer. 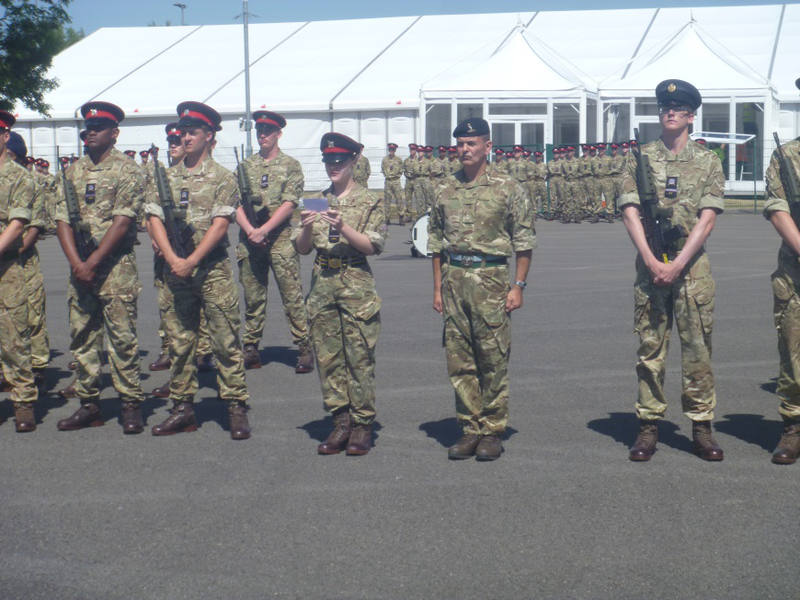 Y Services Branch members watch the Welbeck Defence Sixth Form College parade.